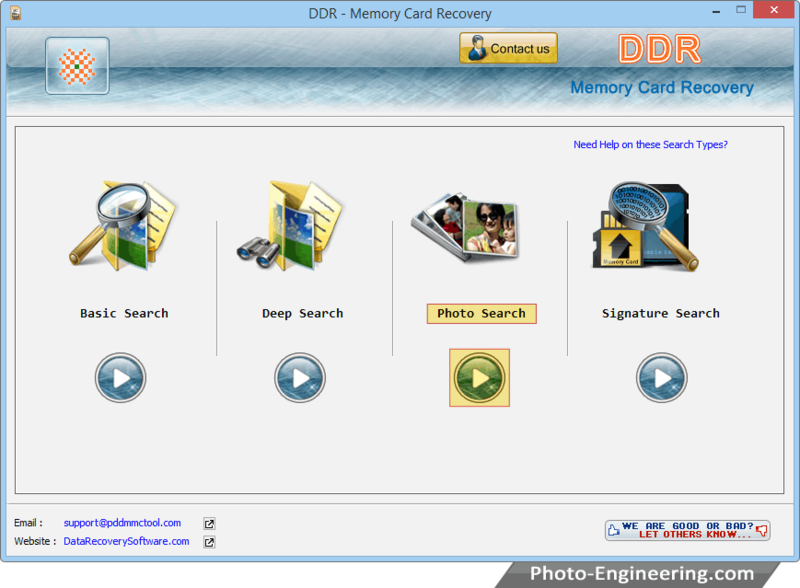 Choose any one recovery mode to recover lost data files. 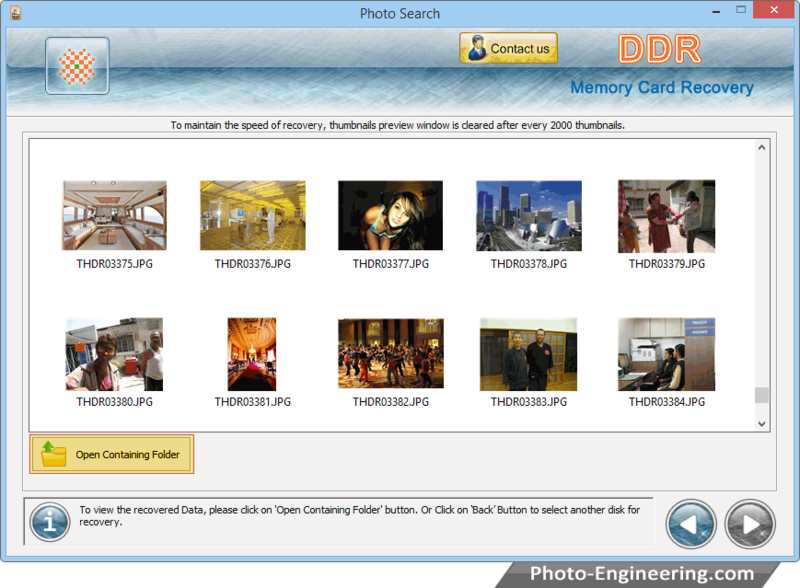 Here we have selected 'Photo Search' for demonstration purpose. 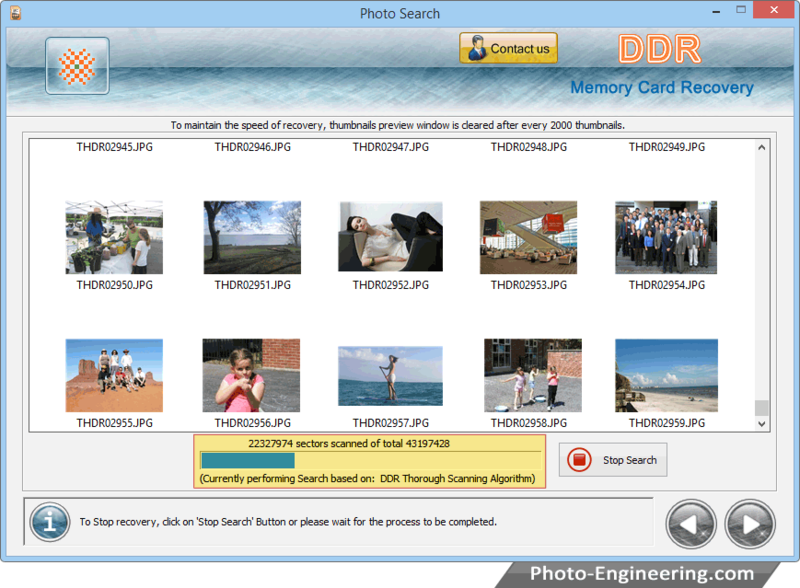 Select removable media or disk partition from which you want to recover data. 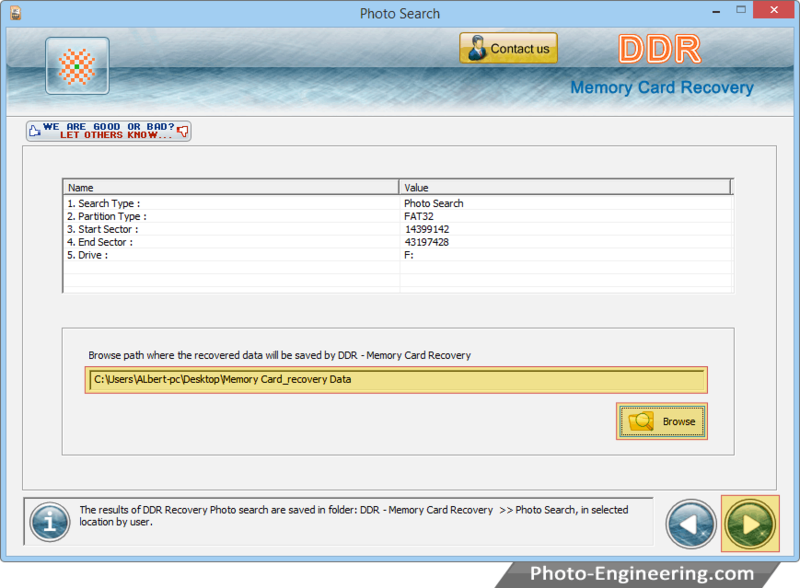 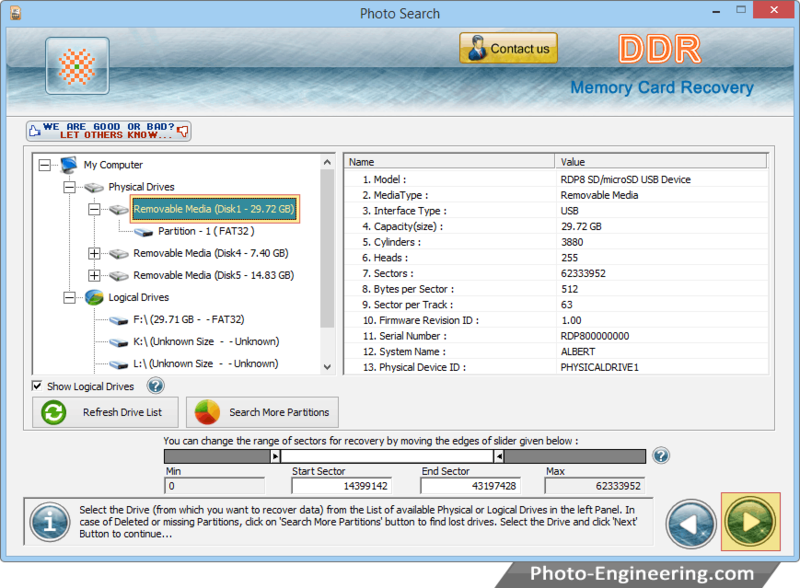 Browse the path where the recovered data will be saved by DDR - Memory Card Recovery.